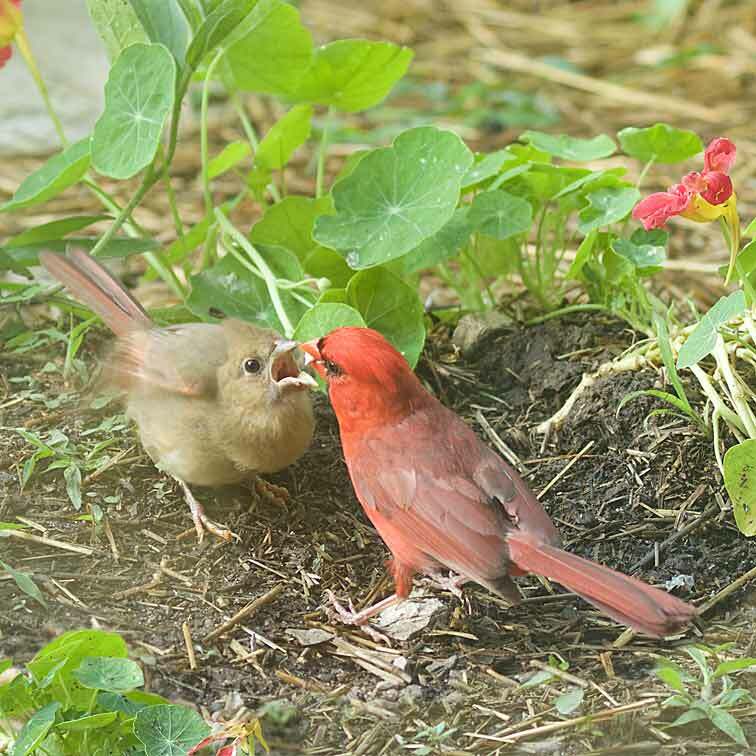 Baby cardinal must feel so fulfilled now. For a minute, anyway. Interesting how the babies have lead-colored beaks, completely different from the bright orange or red bills of both mom and dad. This year-around feeder is called the No-No Cardinal Feeder, because it says NO to squirrels, who can't get at the seeds through the all-metal feeder. But it says YES to cardinals. Red! And made so cardinals can feed straight ahead, which they prefer. 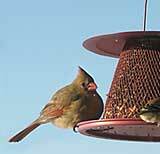 Try the Non-No Cardinal Feeder. 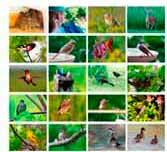 Attract more cardinals!